Harambee Stars of Kenya started training in Nairobi on Tuesday in preparation for the final round of qualifiers for the 2019 African Cup of Nations against Ghana this Saturday in Accra. Head coach Sebastien Migne took charge of the session, with his camp boosted by a majority of the foreign based players called up for the clash. Jesse Were who was called up as cover for injured Michael Olunga, alongside his Zesco United team mates, David Owino and Anthony Akumu were in training same as Nkana FC defender, Musa Mohamed. Libya based Masoud Juma, South Africa based Brian Mandela and Ethiopia based Patrick Matasi are the other Africa based in the camp. Skipper Victor Wanyama, Erick Johanna, Erick ‘Marcelo’ Ouma, Ismail Gonzalez and Paul Were are the other foreign based players who were in today’s training. 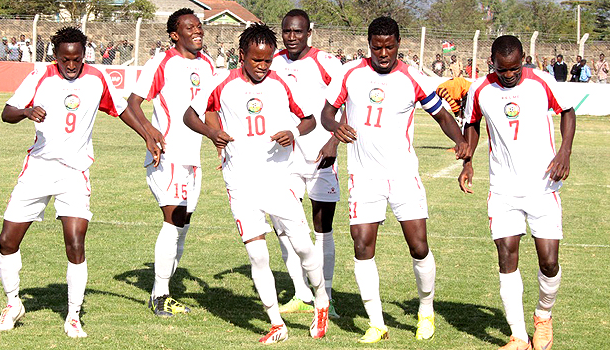 Harambee Stars squad is expected to leave for the clash on Thursday. The game will only be used to determine the winner of the group as both Kenya and Ghana have qualified to the finals slated for June in Egypt.